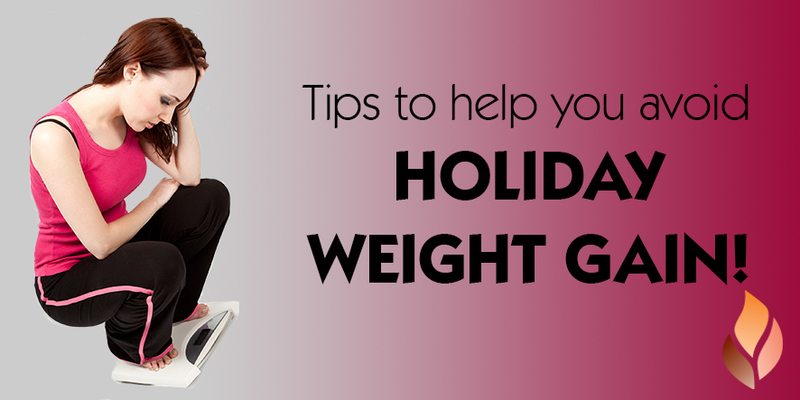 Home » Events and Blogs » Blog » Tips to help you avoid HOLIDAY WEIGHT GAIN! Tips to help you avoid HOLIDAY WEIGHT GAIN! It’s a day where we celebrate with friends and family. It’s a day where we let our hair down and have a jolly time. It’s a day where we unwind and relax. It’s also a day where we eat and drink far too much, and let’s be honest, it’s not the healthy stuff! But you know what? We’re allowed to go a bit crazy on Christmas Day! The problem is that our Christmas Day diet weens into our lives a week out from the big day, and sticks around until the New Year! You know what this means? A New Year’s resolution to lose some extra, unexpected, holiday kilos. Integrate these healthy habits into your schedule over the next few weeks to AVOID the excess weight gain. Have you ever gone grocery shopping when you’re hungry? You aimlessly wander up and down the aisles, throwing unnecessary (and often junk) food into the trolley. A similar thing happens when you go to parties hungry. You’ll consume far too much heavy, sugary and fatty foods, just to manage the hunger. The solution is to eat a healthy, substantial meal before you go (unless you know that’s what you’re being fed!). Alternatively, have some healthy snacks before you go! Maintain a regular exercise routine. Go for walks, head to the gym, practise yoga. Whilst it takes an extra kick of motivation, it is well worth it! You’ll feel more energised and more empowered to eat the right things. Plus, it’ll help if you start sneaking in those naughty foods early! Stop buying so much food! It’s the time of year where we’re surrounded by cheer, promotions and sweets (SO MANY SWEETS). Try not to buy an excessive amount of food, as this means more temptation to indulge a bit too much. If you’re buying sweets as gifts, wrap them straight away to stop yourself opening up a box to “make sure they taste okay”. Chips, pastries and chocolates can sometimes make their way into our diets well before and well after Christmas as snack foods. Ditch these for healthy snacks and save your good quality chocolates, wine and cheeses for the big day! Allow yourself to indulge on the foods and drinks that you love on Christmas Day! But remember to take it easy as well. It’s healthy to have things in moderation. So treat yourself, but remember that what your putting in your body is still having an impact. Yes, we will enjoy ourselves. Yes, we will let loose a bit. But don’t write off the next few weeks in terms of your food and exercise. You want to look back on Christmas as a fun time had with the people you love, and indulging in what you love with NO REGRETS! Be smart, be nutritious, be active. You’ll find yourself in a better and healthier mind frame to kick off 2016!